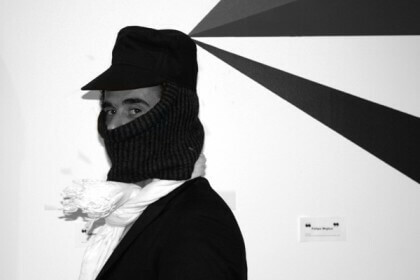 Cabaret Voltaire is one of Switzerland’s most vibrant contemporary art spaces, programming shows and events in the old town of Zurich (yes, it was also the birthplace of DADA back in 1916). 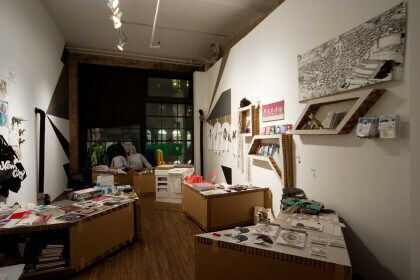 The storefront is an unconventional boutique with a selection of objects, editions and fashion selected by Andrea Roca. For the month of December, Boutique Cabaret Voltaire will present some of the most exciting products from small creative industries across Switzerland and Europe. 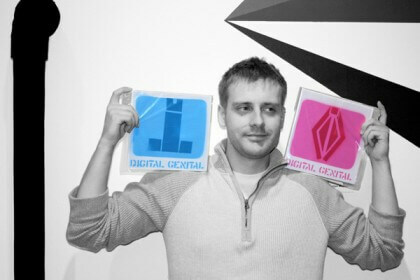 Jon's Pick: DIGITAL GENITAL by Milk + WODKA "Isn't it nice to have an easy decision: blue/pink?" 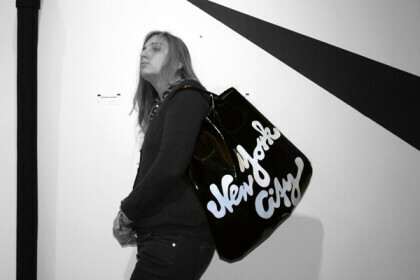 Adele's Pick: BIG BAG by Anja Roder. ""This bag is so large, it can store the big apple!" 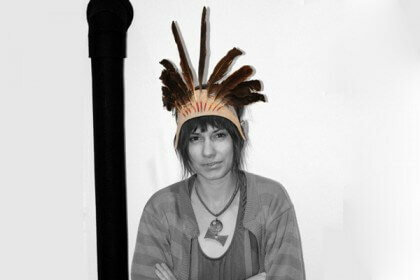 Piper's Pick: HOULIGAN HEADDRESS by Peter Mueller. "This is pure Huck Finn"
Gianni's Pick: CAP/SCARF by Bitten Stetter. 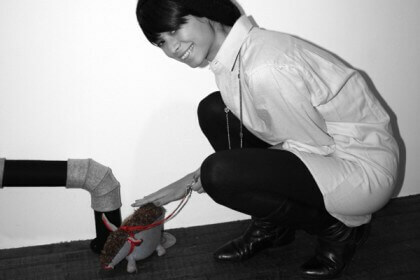 "I always wanted to be a guerilla, and all I got is SI"
Severine's Pick: PAT, the donkey by Bisou. "Pat's perfect; he never leaves surprises on the street"